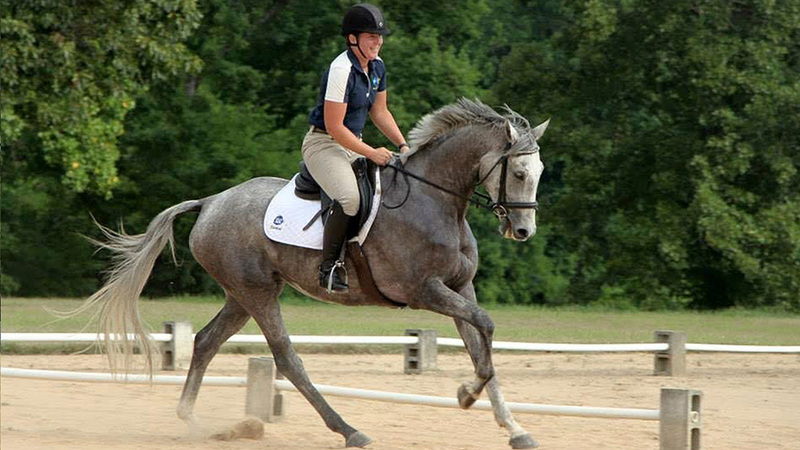 Bishop de Selah, aka Bishop, is a 2009 16.2 hand Zweibrucker gelding. He was bred by Jane Hartleroad of Selahway Farms in Parkersburg, WV. Bishop is full of life and athleticism, and seems to really love having a job. Jessica acquired him from one of her best friends, Autumn Grogan, in the spring of 2015 as a green 6 year old. Bishop has come a long way in 2 years. He has successfully competed at the Training level. Jessica hopes to do a Training 3 Day with him at some point before he moves on to Prelim and above. Jessica has high hopes for this leggy, springy, quirky dude.